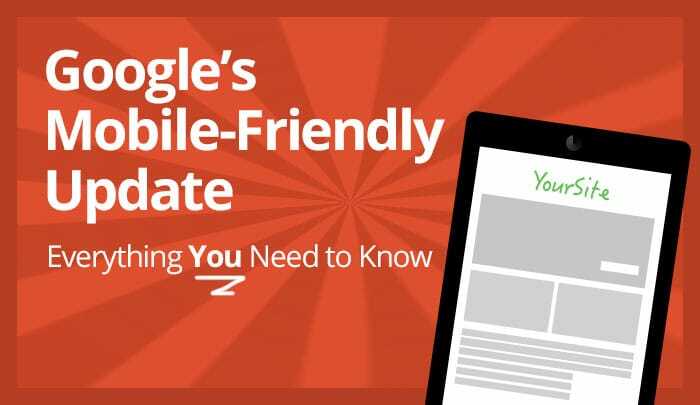 Google is rolling out the new Mobile Friendly Web Design algorithm. The apex has been reached where mobile devices are used more than lap or desktop computer and Google is changing their algorithms to adapt to these usage patterns. Google announced on their blog February 26th, 2015 that they will be expanding their “mobile-friendliness” as ranking signal. This SEO news is a game changer for mobile searches across the globe that will greatly impact search results and mobile users will get better results on their searches. So April 21 began the roll out and in typical Google style they are taking their time rolling it out. Like watching for the new royal baby, all eyes are aimed at Google mobile search results. Expect a week and a half before noticeable results can be seen, as there doesn’t seem to be any significant changes right now out of the gate. Despite Google not being too forthcoming about changes in their algorithms, they issued a heads up early to give site owners a chance to make their sites mobile user friendly. This change is only set to impact mobile users and give a nice little boost to mobile-friendly pages. Static sites or desktop sites won’t be affected by the changes nor will be tablets. This is for mobile smartphone devices. Determining if your site is mobile-friendly consists of a couple steps. First look to see if you have the mobile friendly label in your mobile search results. There is a mobile friendly testing tool that can be run to determine if your site passes muster or not. Finally there are the mobile usability reports lurking at Google Webmaster Tools that can help but are fairly behind. The algorithm is set for a page by page basis so if your site is only partially converted to the mobile friendly model, you will still be given benefit. It is also a “real time” algorithm but it is taking about 72 hours before a new mobile-friendly page is ranked. A page can either be or not be mobile friendly it can’t be “partially” mobile friendly. This change only applies to core web search results not Google News or other services. The key point to get out of this change is that Google is still after high quality content! This change of algorithm is only a part of the ranking system and is geared to make searching more mobile friendly. Mobile friendly web design is on the tongues of everyone right now. SEO ranking is the still the wizard’s cup at the end of the maze and mobile friendly web design is just another tunnel leading to the center of the maze. Expect more updates as the rollout keeps on rolling. Google confirmed the roll out began and has gone live in several of their data centers. Google also said it has not fully rolled out yet, however, by the end of the week we should start seeing even more significant results. This update is expected to be very significant, more so than the impact we experienced with past Panda or Penguin updates. Google also stated the lead upto the launch lead to a 4.7 uptick in mobile friendly websites within their index.